Product categories of Final Bulk, we are specialized manufacturers from China, Biotechnology Bioproducts Preventive, Final Bulk Medicine Preventive suppliers/factory, wholesale high-quality products of Final Bulk Pharmaceutical Preventive R & D and manufacturing, we have the perfect after-sales service and technical support. Look forward to your cooperation! Bulk of Varicella Vaccine,semi-Finished Products.It has good safety with low ratio in adverse reaction. And it has been exported to Bangladesh. 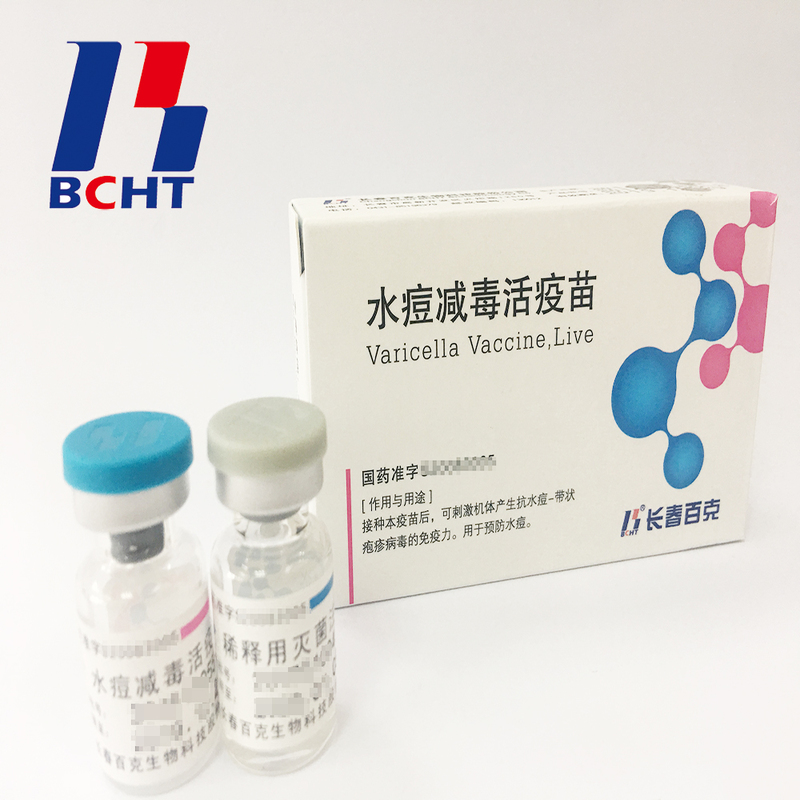 In 2008, BCHT successfully launched its product Varicella Vaccine, Live in China. In the following years, BCHT continuously committed to improving the product and led in 2010 removal of gelatin from adjuvant and extended the vaccine shelf-life up to 36 months which is the longest one in the world in 2011. And it has the following qualities.